I haven’t really been cooking as much as I want to, let alone doing much baking. There are so many things to do, so many things I’m interested in, so many ideas, and so many plans on my mind. It can sometimes seem a little overwhelming. But then I remember than cooking calms my head and sometimes I forget just how easy baking can be. I love the fact that most of the time, you can whip everything up in one bowl and once it’s in the oven, you get to leave it alone. You can write, clean, do laundry, read a book, watch TV, anything you want. Try doing that with a skillet of chicken and you’ll have your smoke alarm going off. 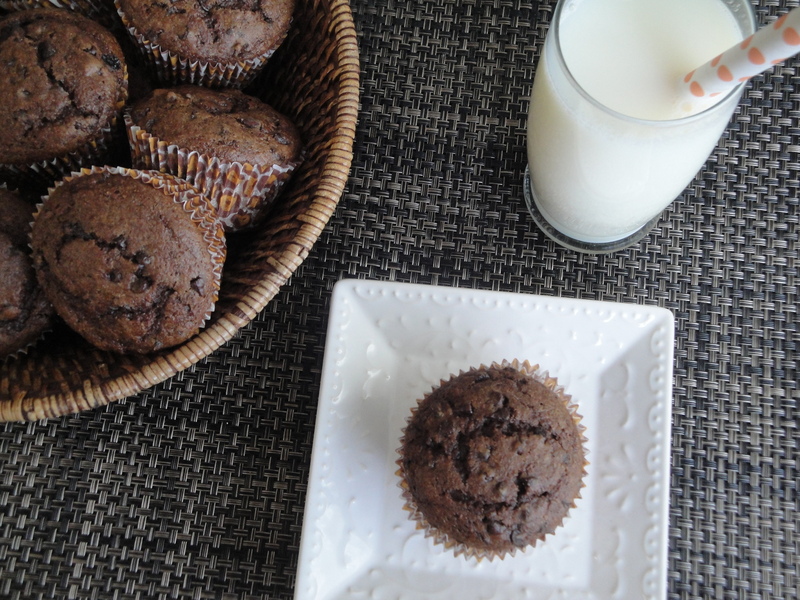 These Double Chocolate-Mocha Muffins are another one of those really easy recipes to whip together when you just have too many other things to do or think about. Chocolate chips and cocoa are both added to this batter to make some really chocolate-y muffins and espresso powder or instant espresso is added to give it yet another layer of flavor making these perfect for breakfast, as a sweet addition to brunch, or even as a late night chocolate snack. The recipe calls for chocolate chunks but I used mini-chips because I had them on hand so use any kind of chocolate you want. 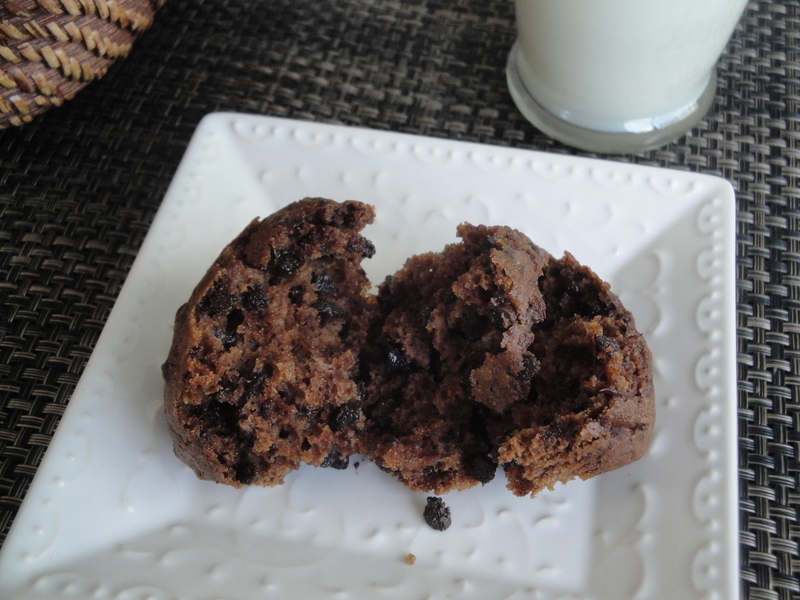 I also substituted applesauce to lighten their calorie load and the end result was still a light, fluffy muffin. 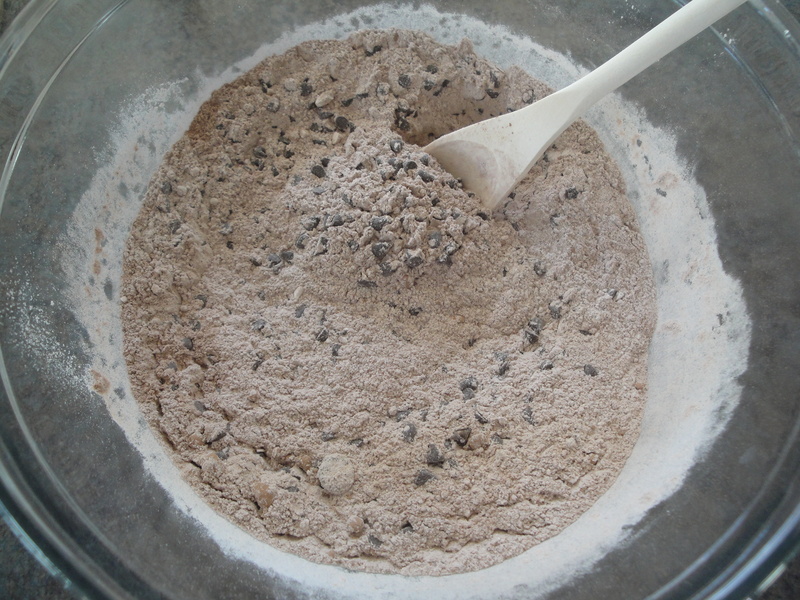 Also consider replacing up to half of the flour with whole wheat flour. 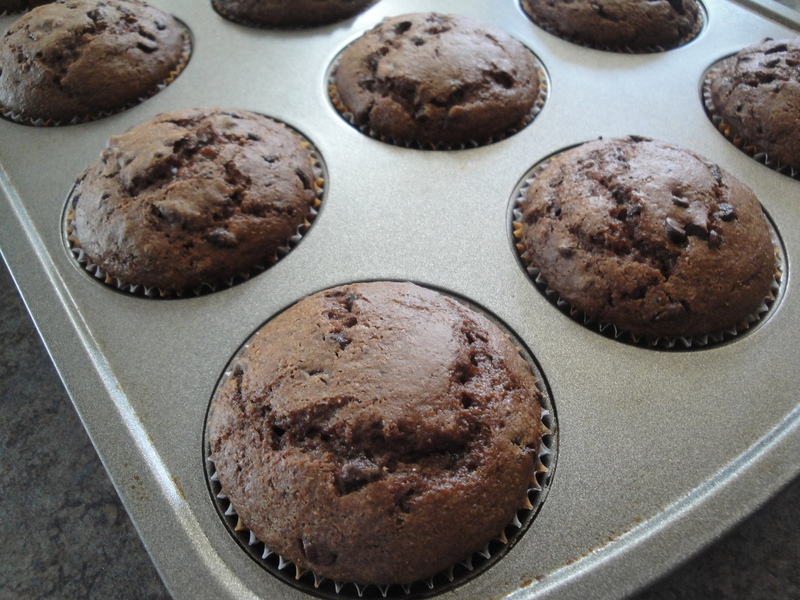 These muffins puff up nicely, just the way you want a good muffin to and also freeze well. Craving a little chocolate with your coffee? Or a little coffee with your chocolate? Just mix them together and make these muffins. 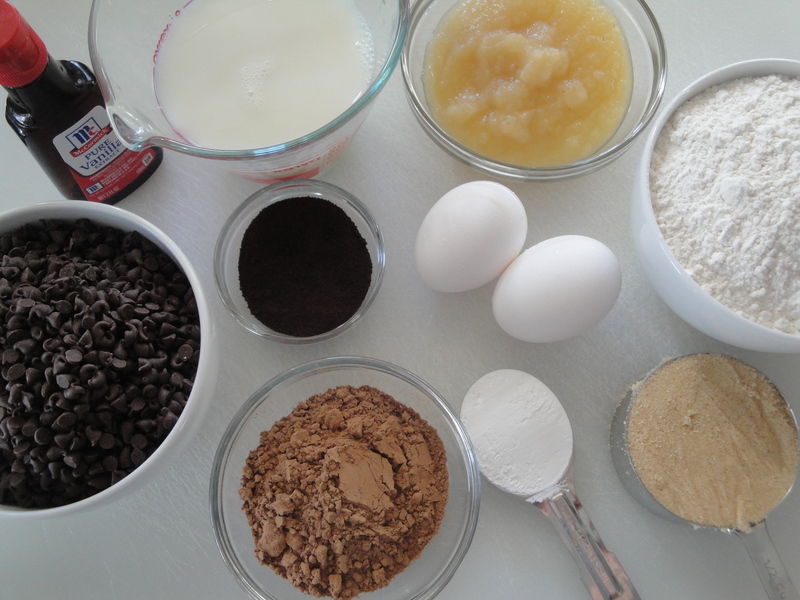 Whisk together flour, cocoa, espresso powder, baking powder, salt and chocolate chips in a large bowl. 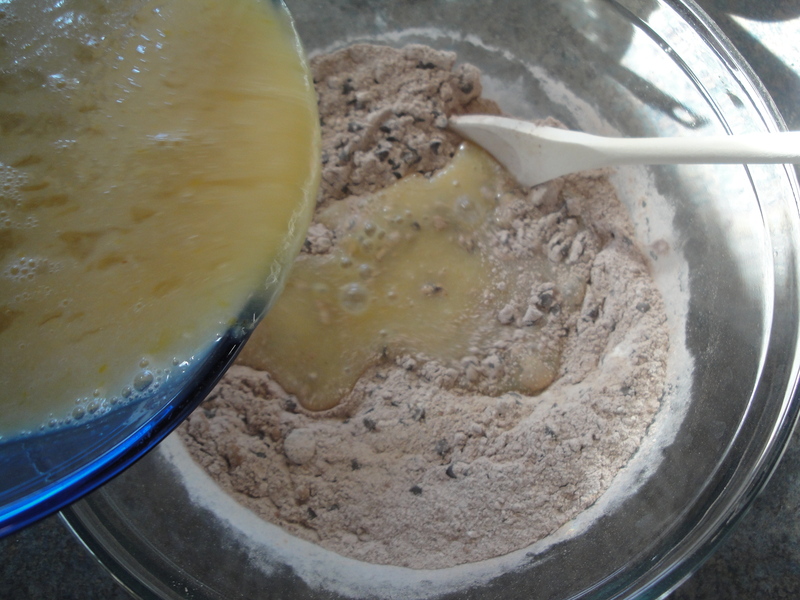 Whisk together eggs and remaining ingredients in a medium bowl; stir egg mixture into flour mixture just until blended, being careful to not overmix. 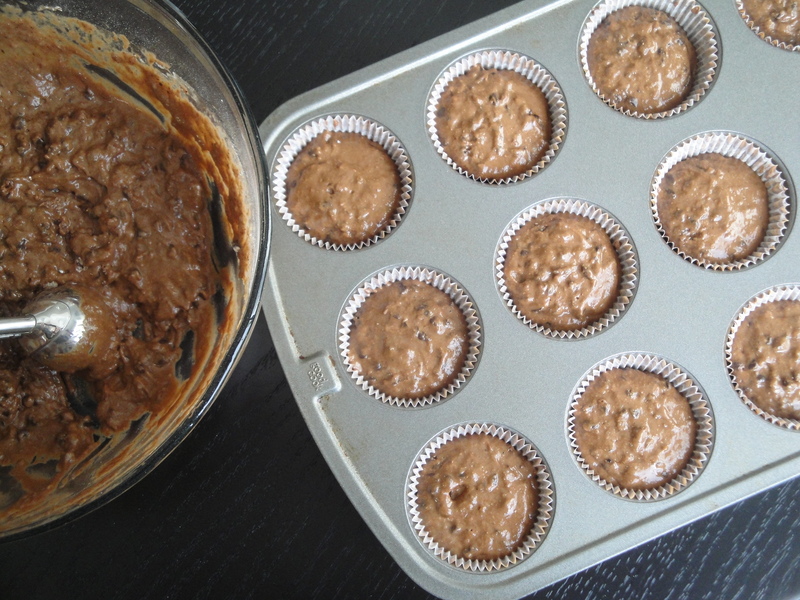 Pour batter evenly into muffin pans lined with paper liners. Bake 18 to 20 minutes in a preheated 350°F oven. Serve warm, or cool on a wire rack.